Background: Blackbaud sponsored Charleston’s Martin Luther King Jr. Day parade on January 15, 2018. 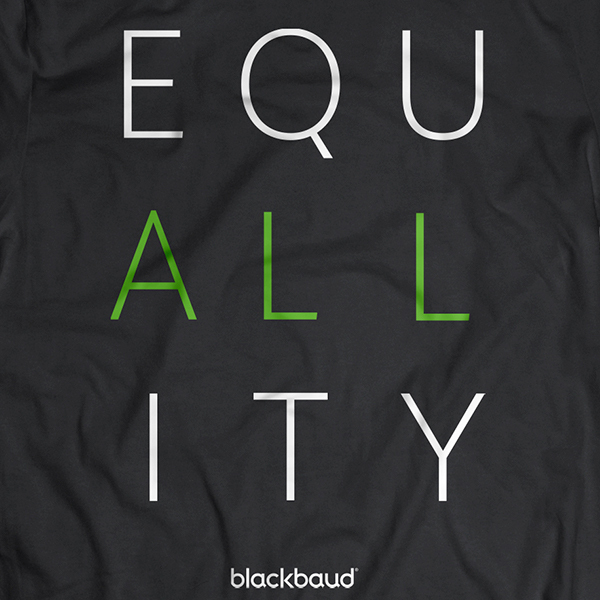 Our mission was to show the Charleston community Blackbaud’s deep commitment to all forms of social good, including equality, diversity, and inclusiveness. Agency 545 was tasked with crafting copy and designing a creative, eye-catching look and feel for banners and T-shirts that were revealed at the MLK parade. We were inspired by his quote “We hold these truths to be self-evident, that all men are created equal.”Our team provided simple yet thought-provoking copy and striking design elements to deliver powerful and memorable pieces. 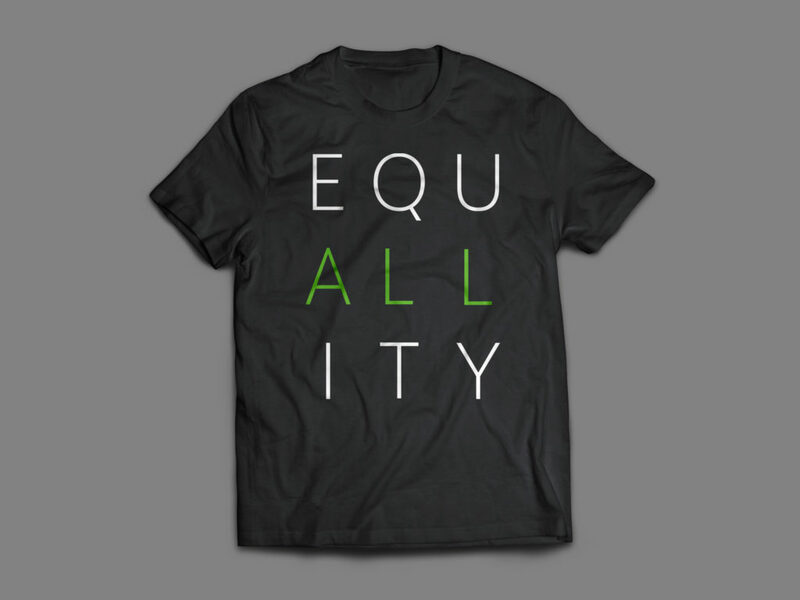 Particularly highlighting his overall quest for equality for all, we merged this idea, and it then became “equALLity”. It started off as only a small-batch run, but the response was so great, we created even more and now there’s even a store page for employees to purchase their own. It’s also become a scalable design that is more than our MLK Jr. Day Parade shirt, and also became rainbow striped for the pride parade.